Parkland Florida is a city located in northwestern Broward County, along the Palm Beach County border, just west of Deerfield Beach. Until the early 2000s, there were no major stores or even traffic lights in Parkland, as residents of the city prefer to preserve its park like character. There are a few zoning laws that city officials have put into place to preserve the natural and small town quality of Parkland, making the city safe from the over-development that has occurred throughout a portion of Broward County. With 9 parks and green spaces, perfectly kept landscape, and access to the Everglades preserve, Parkland lives up to the quality that its name indicates. Parkland features all of the best local restaurants, shops, and access to every day amenities, as well as close proximity to the energetic city of Fort Lauderdale. Or, browse all the Parkland communities if you prefer. 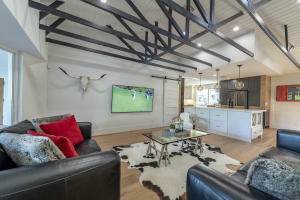 There are quite a few superb Parkland communities such as BBB Ranches, Fox Ridge Estates, Heron Bay, Meadow Run, Parkland Golf & Country Club, Pine Tree Estates, Ternbridge, and Whittier Oaks. BBB Ranches is a masterpiece custom luxury home community with equestrian estates located on lots that average in size to be an acre plus. 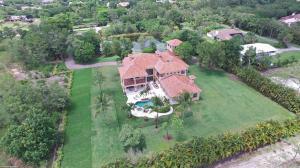 Fox Ridge Estates features to acre home sites, many of which are waterfront, with gorgeous custom estates homes. Fox Ridge Estates also features a unique activity island, which is an island designed for the residents to enjoy outdoor recreation. 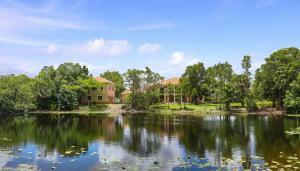 Heron Bay is one of the largest Parkland communities, and is situated in the northwest corner of Parkland, bordering the Everglades and the county line. Featuring a variety of housing options from large estate homes, to multi-level townhomes, to luxury condos, Heron Bay has something to satisfy any buyer. Heron Bay is unique from many other Parkland communities because it is a country club that features a championship golf course and palatial clubhouse. Meadow Run offers beautiful Mediterrean-style estates on 1/3 acre home sites, and is right near to a main shopping center and the Sawgrass Expressway. The hallmark Parkland community is the Parkland Golf & Country Club, which offers large estates, modest single family homes, and condos. Parkland Golf & Country Club features a resort-style pool, a full service spa facility, a large clubhouse, and one of the best championship golf courses in Broward County. Pine Tree Estates is one of the few Parkland communities that does not have an HOA, therefore it does not have HOA fees. Located conveniently just north of the Sawgrass Expressway, Pine Tree Estates offers custom-built single family and estate homes on spacious private lots. 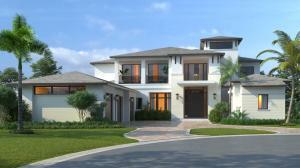 Ternbridge is one of the more prestigious communities with a variety of single family Parkland homes on acre lots. 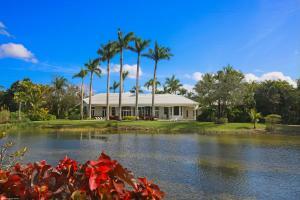 Whittier Oaks offers gorgeous single family homes with water views, and smaller lots. Within walking distance to Terramar Park, Whittier Oaks is a splendid family-friendly community in a superb location. The main appeal of Parkland is, of course, the citys natural Florida landscape, beauty, and proximity to the immense and stunning Everglades wetlands preserve. Parkland also features a litany of equestrian recreational opportunities, Terramar Park which is a nature preserve, all of the most shopping and dining, all of the necessary every day amenities, and a laid-back relaxing lifestyle in a city near to Fort Lauderdale.